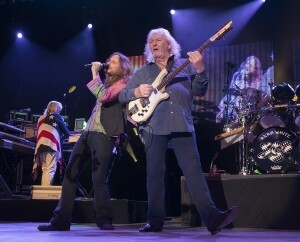 You could feel the anticipation in the air as the crowd waited for Yes to take the stage at the Greek Theatre in Los Angeles. 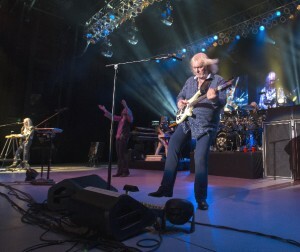 The packed venue of Yes fans had thrown down their money to experience the most recent incarnation of this legendary group of musicians. We had just been treated to a great set by a promising new progressive rock band called “Syd Arther.” (Get it?) This English quartet has a vintage King Crimson/Pink Floyd psychedelic feel with solid grooves and tight harmonies enhanced by mandolin and violin. This band shows a lot of promise and it was nice to see a group of young musicians embracing this genre of music. Recently, the buzz on Yes’ new singer Jon Davison had been growing as word was getting out about him in the progressive rock community. Like many die hard fans of the group, at first I was one of those who said, “It cannot be Yes without Jon Anderson.” I’ll admit I was skeptical, but I was also curious to see if this new singer could pull off the intricacies of Yes’ music live. After interviewing Davison for All Access back in June, I had already experienced first hand how humble he was and how serious he felt about his role as the new singer of Yes. Perhaps I’m a little biased now as I tend to root for an artist after speaking to them in person and finding them to be very genuine. But I still needed to be sold. 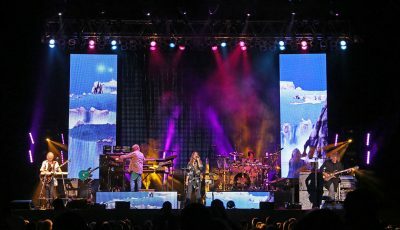 The show started with a video that gave us a visual history of the band, beginning with the debut album and taking us through a tour of all 21 studio album covers using the finale from Benjamin Britten’s “Young Person’s Guide to the Orchestra” as a soundtrack to compliment the Roger Dean artwork of the Yes catalog. 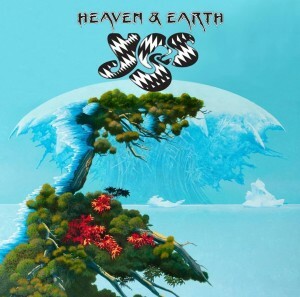 This got the audience worked up, and then the new album Heaven & Earth appeared on the big screen along with a photo of the current lineup as the band walked on stage to a cheering crowd. The moment Jon Davison jumped on the mic, you could feel the power of his voice. He sang effortlessly, on pitch, and he harmonized perfectly with bassist Chris Squire and guitarist Steve Howe. The moment Jon Davison jumped on the mic, you could feel the power of his voice. 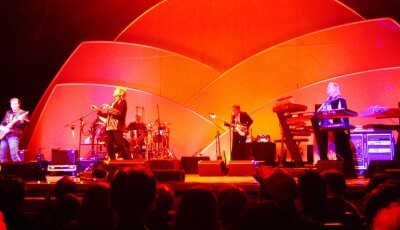 He sang effortlessly, on pitch, and he harmonized perfectly with bassist Christ Squire and guitarist Steve Howe. Davison matched Anderson’s every inflection to a tee, veering off course only on rare occasions to put his own signature on the material. As the band segued into one of their best known tunes, “And You And I”, followed by the twenty minute title track “Close To The Edge”, Davison’s voice and the instruments blended well together. I closed my eyes for a moment and it sounded exactly as I had always remembered the record. After completing the entire Close To The Edge album (in reverse-order), Chris Squire jokingly welcomed the crowd to the MTV Video Music Awards, which were also being held in Hollywood that night. At that point, I couldn’t help but take notice of Yes’ keyboard player, Geoffrey Downes, who actually co-wrote “Video Killed The Radio Star”, the first song to be played on the music video channel when it launched. I had been invited to the VMAs that night, but I declined as I already had made arrangements to see Yes. So far, I was confident that I had made the right decision on which show to attend. After performing Close To The Edge, the band transitioned into two songs from the new album Heaven & Earth. 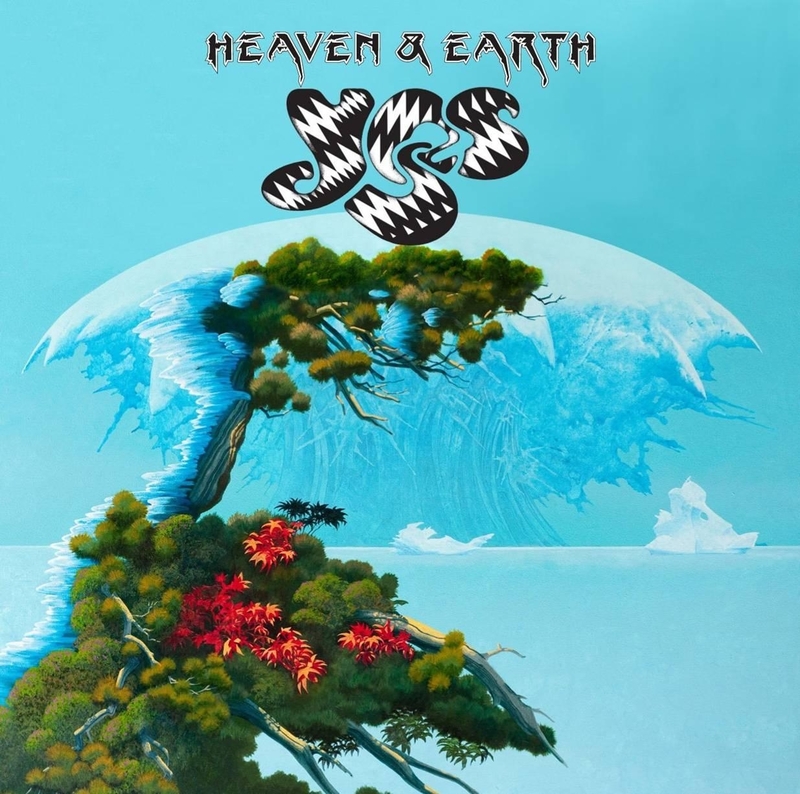 The uplifting opening track “Believe Again” opens with Howe’s slide guitar immersed in echo and Davison’s lyrics of optimism complimenting the spiritual essence of traditional Yes music. Next up was “The Game,” another song that is easily relatable to anyone struggling with the demands that life throws at us daily. We all knew what was coming next – Fragile, the epic Yes masterpiece album from the height of the band’s early career. The concept behind the Fragile album gave all five members a chance to contribute a solo piece, mixed in with several extended collaborations. We all knew what was coming next – Fragile, the epic Yes masterpiece album from the height of the band’s early career. As the first notes of “Roundabout” played, I’m sure that many in the theater were transported back in time just like I was. I still remember dropping the needle on this album’s opening track as a teen and experiencing this music through my headphones, along with Dean’s fantasy artwork to escape the world outside. Then, former Buggles/Asia founding member and early Yes journeyman Geoffrey Downes tackled Rick Wakeman’s classical arrangement of “Cans And Brahms” draped in an American flag cape. 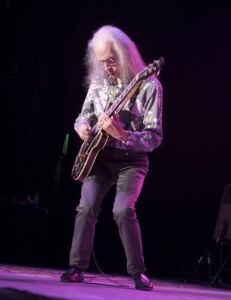 Steve Howe played his Flamenco acoustic guitar piece “Mood For A Day”, and Squire pounded out “The Fish” with an added solo which led into “Heart Of The Sunrise” and “Long Distance Runaround”. It was interesting to see Alan White performing original drummer Bill Bruford’s short but complex composition “5 Per Cent For Nothing” performed live, and Jon Davison did a great job with Anderson’s solo song “We Have Heaven”. It was during “We Have Heaven” that I noticed that Davison wasn’t letting up for a minute. I was sure he would tire as the night wore on, but he just kept reaching higher notes on this very intricate material with complete accuracy. Prior to the last encore of “All Good People” and “Owner Of A Lonely Heart”, Steve Howe did something rare when he thanked the road crew by name, mentioning everyone from sound and lighting, to the projectionist, to the instrument technicians and truck drivers. In the end, Yes had won me over. They had reinvented themselves again, and I could tell the crowd felt the same. It’s not easy for a band to stick together for decades. Family obligations, addictions, internal conflicts, health issues, and of course, creative differences make it difficult to stay together. 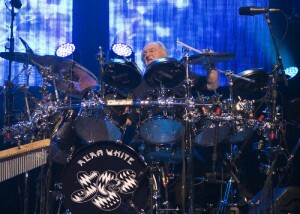 Yes has probably seen as many personnel changes as any other rock band in history. All of those musicians have proven themselves as virtuosos on their instruments, and filling the very big shoes of founding singer Jon Anderson would not be an easy task for anyone. 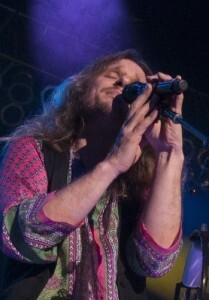 But Jon Davison has stepped up to the challenge and earned his rightful place as a member of Yes. It must be difficult for a new singer to step into the shoes of a legendary predecessor. This is something we hear often when other big groups have had to replace their long-time singers (most notably from the classic rock era with groups like Van Halen, Queen, Journey, Genesis, AC/DC, Bad Company, INXS, or with newer groups such as Flyleaf). Naturally comparisons will be made, and some fans will just to refuse to accept it. But if the new member does the songs justice, then the music lives on. As I was walking out, a total stranger put his hand on my shoulder as if he’d known me for years. With great enthusiasm he said, “Wasn’t that amazing?” I agreed, and then I asked him if we had met before. He responded, “No, I just wanted to say that was great!” Indeed it was. *A special thanks to Marc Goodman, aka Professor Goody, who contributed to this article. Snoopadelic Cabaret with Snoop Dogg at TAO in Las Vegas!